The internet threat landscape is always evolving. 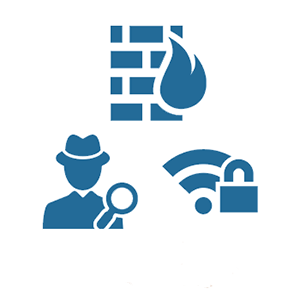 A simple firewall is no longer enough to protect your business from risks. A Unified Threat Management Plan is the best way to ensure complete coverage. These plans include a high performance, next-generation firewall, VPN, and intrusion prevention. Also included in Unified Threat Management is web filtering, antivirus, antispam, and data loss prevention. With the use of a proper Unified Threat Management solution you will know that your business is well protected.